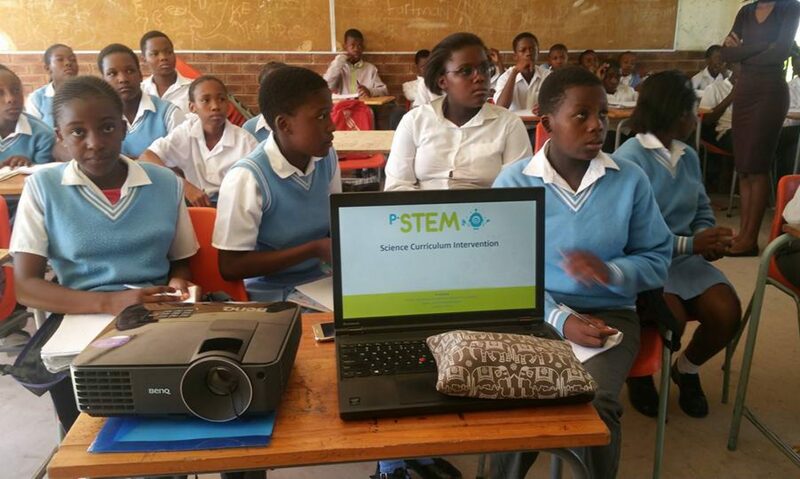 The P-STEM Foundation is a STEM (Science, Technology, Engineering, and Maths) engagement organisation working in historically disadvantaged communities. We focus on creating awareness of, sparking interest in, changing perceptions of and developing skills in STEM. With Southern Africa’s high youth unemployment and a growing demand for STEM skills we exist to channel youth into STEM opportunities successfully. Southern Africa is confronting high youth unemployment issues, coupled with a growing skills shortage. Skilled positions, predominately in fields with a STEM involvement, remain unfilled for long periods of time. The P-STEM Foundation strives to redress that by channelling & supporting at risk youth into STEM (Science, Technology, Engineering & Mathematics) education and careers. Changing the unjustified perception that STEM is for exclusive individuals. STEM can be Fun, Relatable and attainable by anybody. Increasing the familiarity and interest to a wide variety of STEM careers, in communities and schools, particularly in the historically disadvantaged communities of Southern Africa. Redressing negative perceptions regarding STEM in disadvantaged communities. Supporting grass root organisations in communities that are promoting STEM and supporting STEM education. Increasing the visibility and forecasting of STEM education and career opportunities.